I still remember my first experience with the Christian practice known as a "quiet time." I was twelve years old, had just made the cut to attend church camp with my youth group for the first time, and was having the time of my life there. I was rooming with two of my besties, and there was a pool and a cave and a soft-serve ice cream machine! The music moved me, and it seemed like the campus pastor was speaking directly to me every night. Each day after breakfast we were scheduled for half an hour of "quiet time." My youth pastor explained the concept this way: "Find a tree to sit under, read your Bible, pray, and listen." Ah-ha! This sounded like what I'd seen my mom do in the mornings--only she didn't sit under a tree. I found my tree, read a few chapters in Psalms, said some simple prayers, and sat there and stared at the lake. Nothing profound happened, but in a way I couldn't explain I knew God was there with me. That fit with what my youth pastor taught--that the purpose of a quiet time is to spend time with God, to build your relationship with Him. 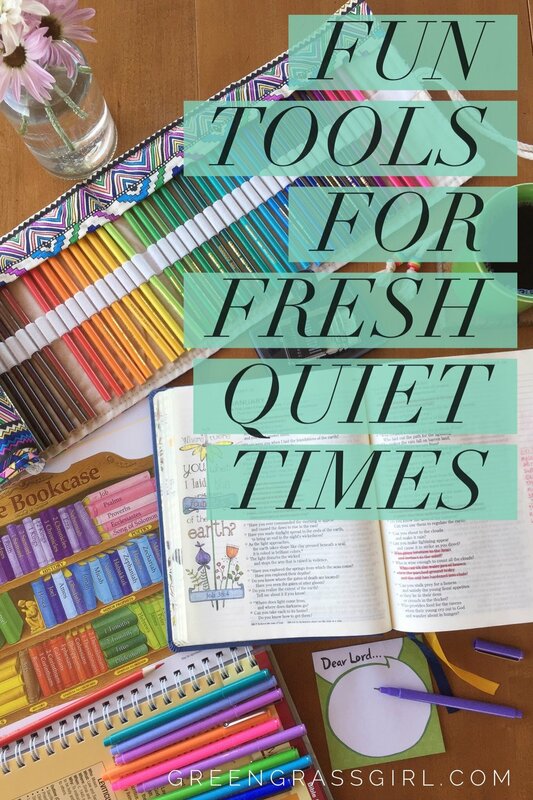 My quiet times have evolved over the years as my relationship with God has grown, and I've discovered a variety of tools that help guide me and some that are just plain fun! As you think about your own relationship with God, whether you want to get back to the basics, dig deeper in your study of God's Word, grow in your prayer life, get creative in your time with God, get caught up in the story of the Bible, or infuse your faith with a little fun, I've got some product recommendations for you, all tested by yours truly. Do you need special "tools" to build your relationship with God? No, you do not! You need Jesus in your heart and a Bible in your hand. These days you can even access the Bible online, and many Bible websites offer reading plans to help you approach this awesome--but intimidating--book in a way that makes sense for you. It's never been easier to obtain the information you need to get going! However, for me there's nothing like a physical book that I can mark up and make my own. Some of the Bibles and notebooks I've used over the years have become meaningful visual reminders of my personal history with God, and these build my faith! Plus, if you're an adult who annually laments that you don't get to pick out school supplies for yourself anymore, your spiritual life is a fabulous outlet in which to redirect this passion, speaking as one who knows. I want to get back to the basics. Don't underestimate the power of simplicity in your relationship with God. Remember my youth pastor's advice to "read your Bible, pray, and listen." (You decide about the tree.) The first thing you need is a Bible, God's written Word to us. This ESV Bible is cute and compact, without a lot of extra frills, while this CSB She Reads Truth Bible contains some additional study materials and pretty typography. 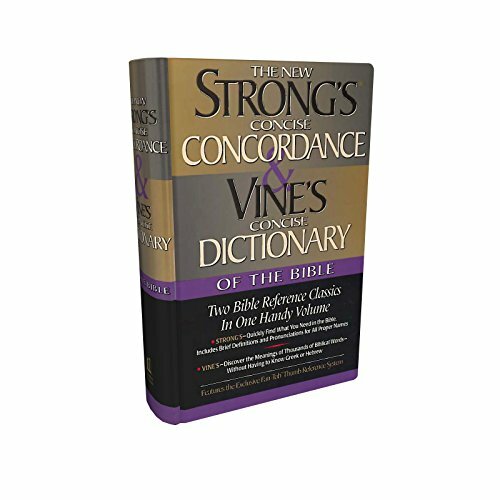 Both the English Standard Version (ESV) and Christian Standard Bible (CSB) balance accurate translation with readability. If there's one other quiet time "essential," it's a place to jot things down--prayers, answers to prayer, what you're learning, verses that stand out to you, how you see God working in your life, etc. 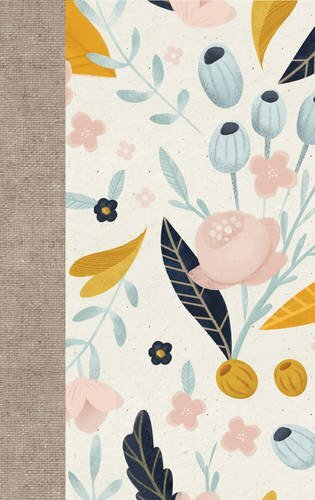 On occasion I've simply used the margins of my Bible for these notes, but other times I've needed more space; enter the cute journals! 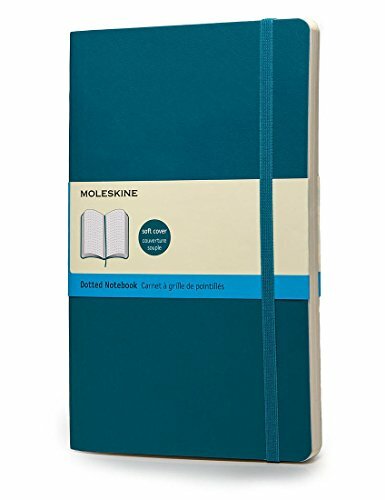 Any notebook will do, but here are a few I especially love. 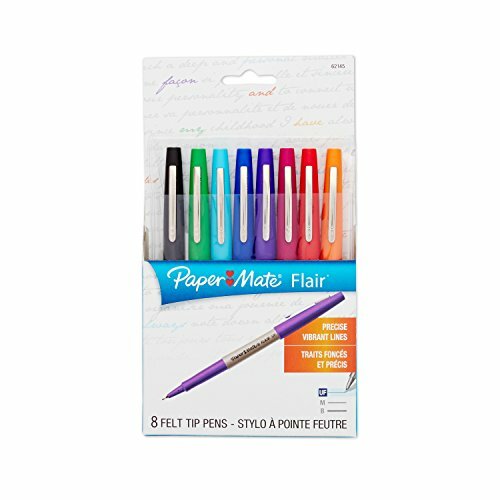 And, of course, you need writing utensils. In case it hasn't already become abundantly clear, for me the more bright and colorful the better! I like a pen with a fine point, and the three brands shown here are my favorite. 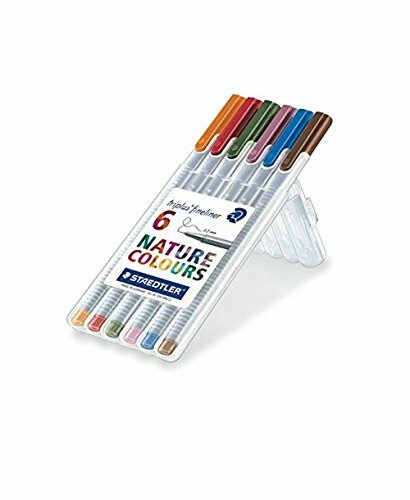 Note: These pens are suitable for most journals but will bleed through thin Bible pages. I use colored pencils to write and highlight in my Bible. I want to dig deeper in my study of God's Word. If you want to take your Bible study to the next level, check out these three fantastic reference books, which earned a spot on my "faves" list because of how easy they are to use. 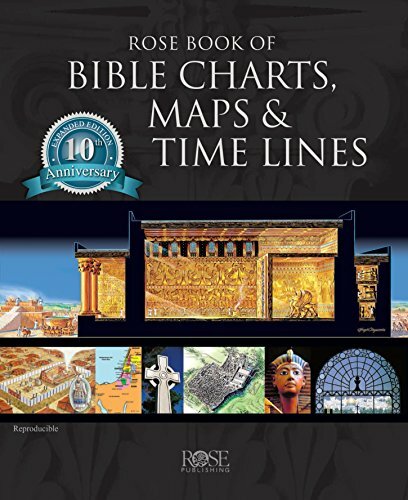 The Rose Book of Bible Charts, Maps & Time Lines is full of colorful charts and illustrations covering a variety of topics, such as the names of God, Old Testament feasts, the miracles of Jesus, and Paul's journeys. I love this resource because it helps me to put together big-picture info I might miss if I'm focused in on a smaller chunk of Scripture. 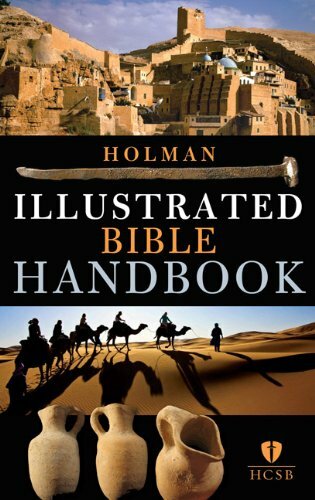 Finally the Holman Illustrated Bible Handbook gives fantastic background and summary information for each book of the Bible, perfect for enhancing a book study. It also contains interesting photos and QR codes one can scan to access relevant video teaching via smartphone. I want to grow in my prayer life. Prayer is having a conversation with God, simple as that! I believe that the more we pray, the more God helps us to know what to pray for and how to pray. In other words you don't have to figure out the "right" way to do it before you dive in! (Do you worry about the "right" way to chat with your best friend on the phone? No! You just do it!) Jump in, fill your mind with God's Word, and listen, and God will guide you. 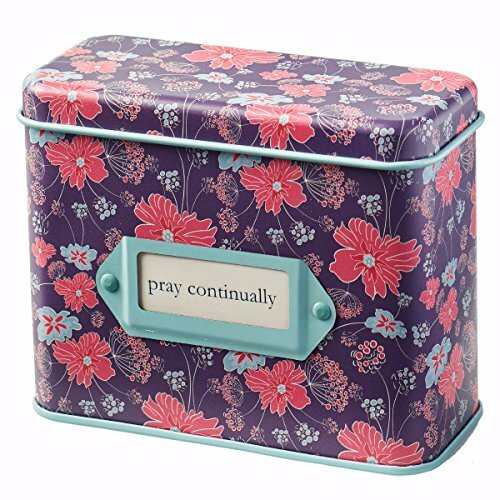 That being said, there are some tools that have helped me to take that first step, including these Sticky Prayers, which remind me that I don't need to be long-winded or fancy, and this tin of prayer cards, which each have a passage of Scripture or excerpt from The Book of Common Prayer on one side and lines to write your own prayers on the other side. There's an abundance of books out there if you'd like to hone in on a specific prayer focus. 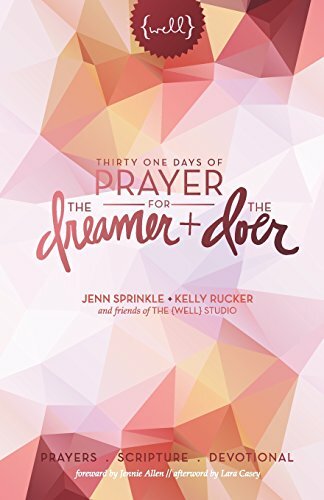 I enjoyed Thirty One Days of Prayer for the Dreamer and Doer, which presents readings and prayers to guide girl bosses and ambitious gals like myself. 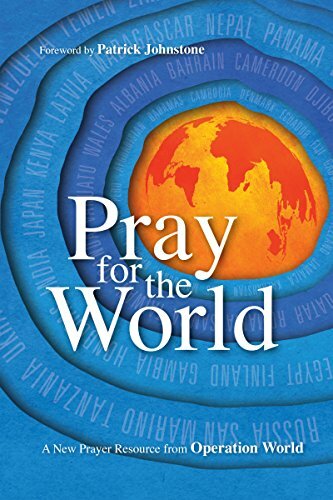 I also highly recommend Pray for the World, which suggests ways to pray for every country in the world! A new edition is released every few years to attempt to keep up with current events and, consequentially, prayer needs. This is a fantastic tool for those--like me!--who want to pray for the world but feel overwhelmed by the task and need a jump-start. I want to get creative in my time with God. First, check out this drool-worthy coloring Bible. It's the New Living Translation (NLT), which attempts to express the original text's intent in the most accurate thought-for-thought modern English. 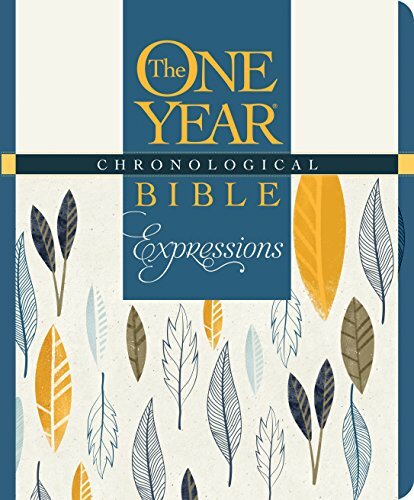 It's in a one-year format, and sections of Scripture are arranged chronologically instead of by type of literature as in a regular Bible, allowing you to get a good sense of how everything fits together. 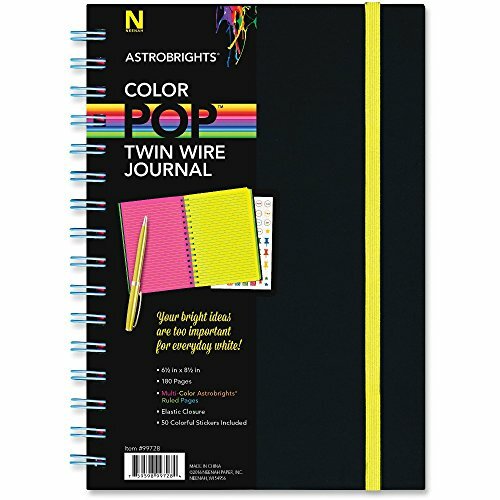 It has wide, lined margins for note-taking, interrupted every few pages by a verse, word, or drawing to color. Next, take a look at this interactive journal. 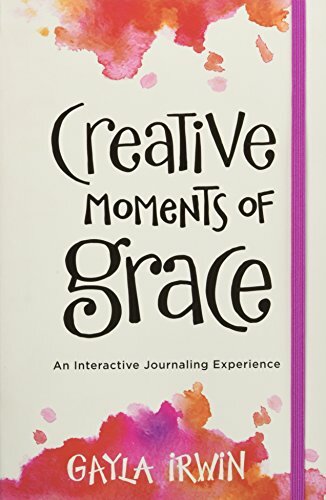 Each activity prompts you to take a look at a passage of Scripture and to engage with it by coloring a picture, journaling your thoughts, or doing some simple drawing (the only kind I do). 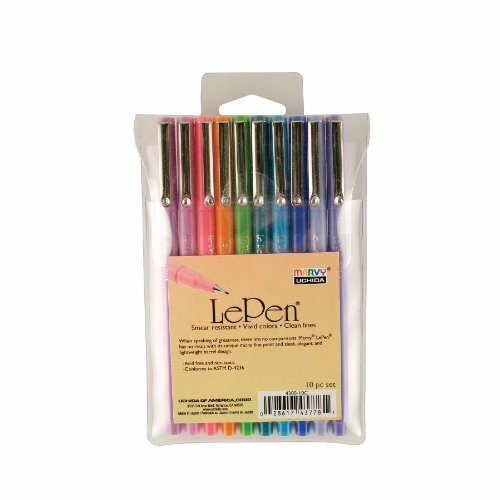 Don't forget the colored pencils, and easily take them on-the-go in a cute canvas pencil wrap, available in many adorable designs. I want to get caught up in the story of the Bible. We tend to read our Bibles one chapter at a time, but the first Christians read large portions of Scripture at once, in part because chapter and verse divisions were added much later! It's a good idea for us to do the same--to remember that the Bible is one big, amazing story and to read it as such. 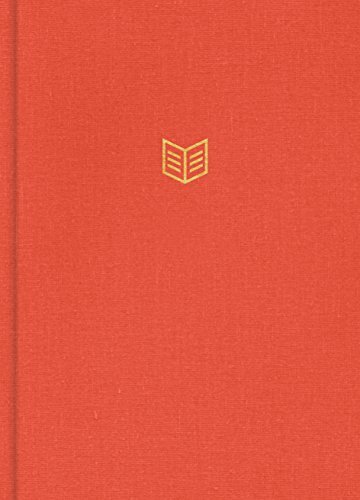 Perhaps the most accessible Bible translation for doing so is The Message; it converts the original languages into contemporary speech thought-for-thought. 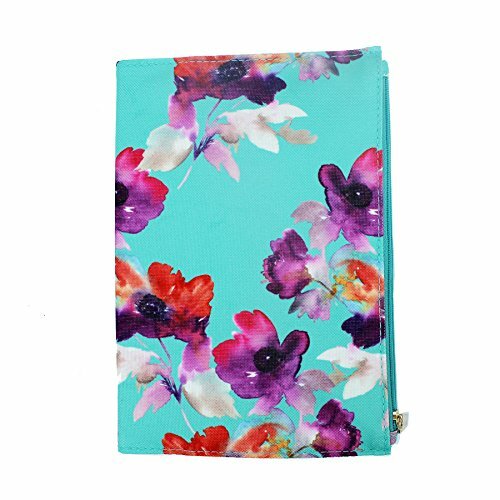 It draws the reader in and makes them want to keep reading! Perhaps my next suggestion is unconventional, as I'm pretty confident its target audience is twelve year-old boys. 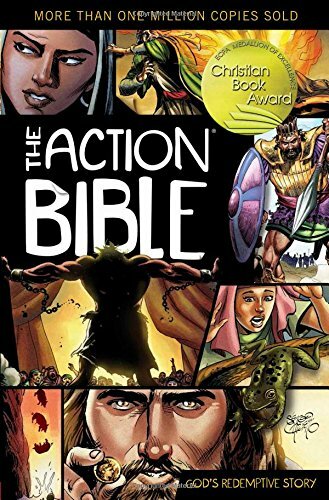 Nevertheless, I must admit that I, a thirty year-old woman, have recently enjoyed reading The Action Bible, a 700+ page full-color comic book Bible. If you'd like a quick and interesting tour through the Bible, I dare you to grab a copy...Then give it to the twelve year-old boy in your life! I want to infuse my faith with a little fun. Sometimes you just need to shake up your routine with a little whimsy and fun! 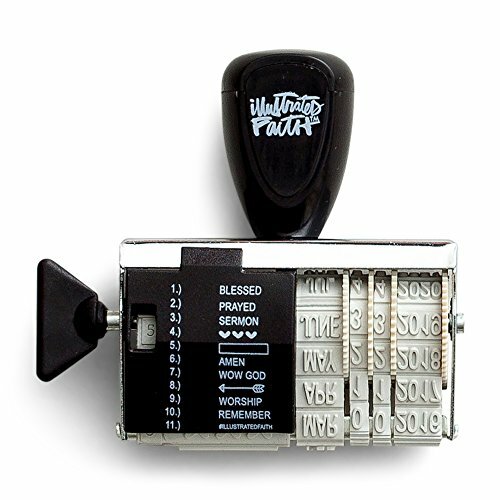 Use this stamp in your Bible to date special verses along with notations like "prayed" or "wow God." Then when you flip back through the pages of your Bible, you can easily locate passages you wanted to remember. 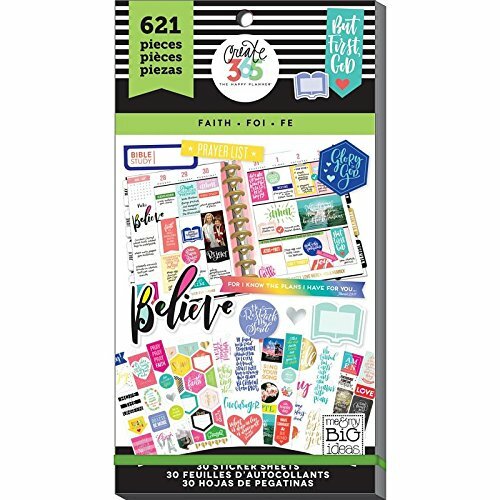 These stickers can be used in your journal, planner, or wherever you'd like, and they include snippets of verses, messages we all need like "bless this hot mess" (Ha! 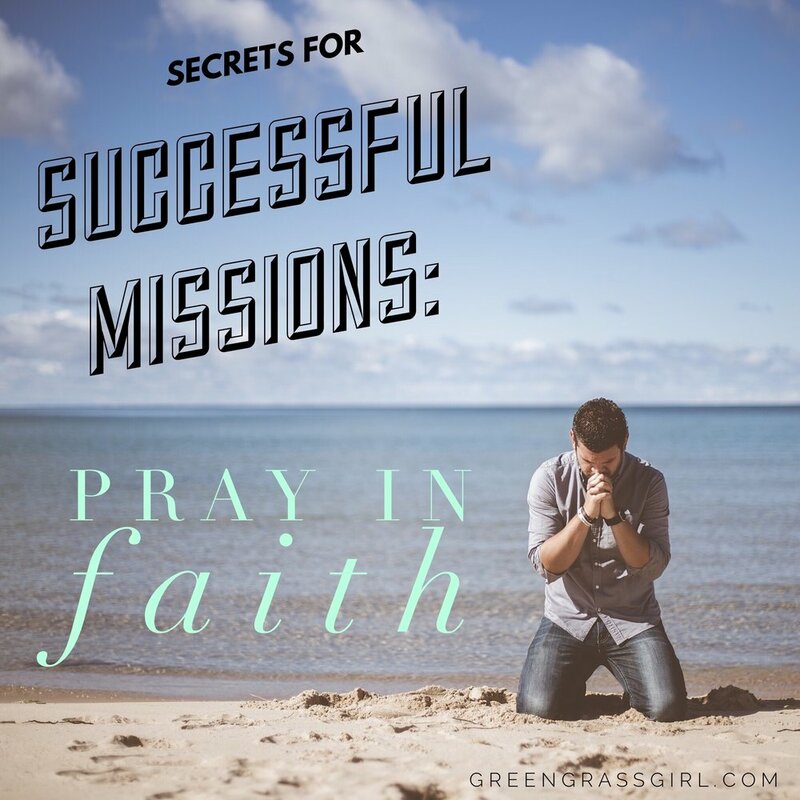 ), and short lists for prayer requests and to-do's. There's just something delightful about having all your tools together in one curated "kit"--perhaps this hearkens back to those school days when my heart rejoiced at a cute and well-ordered trapper keeper. 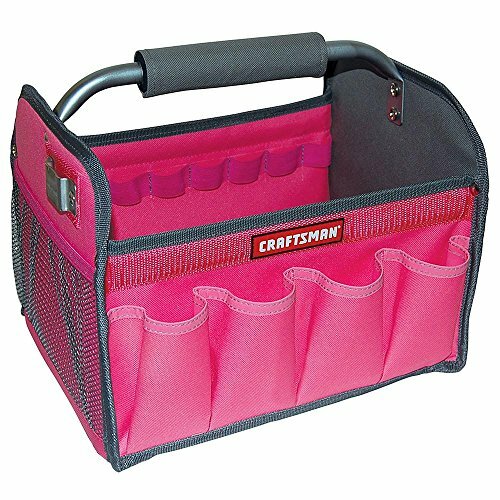 I keep all of my quiet time tools in this pink Craftsman tool tote. 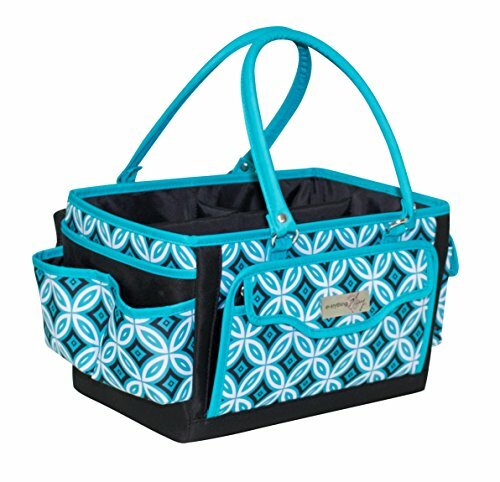 It's very heavy-duty, and it has lots of compartments for organizing all of my things. 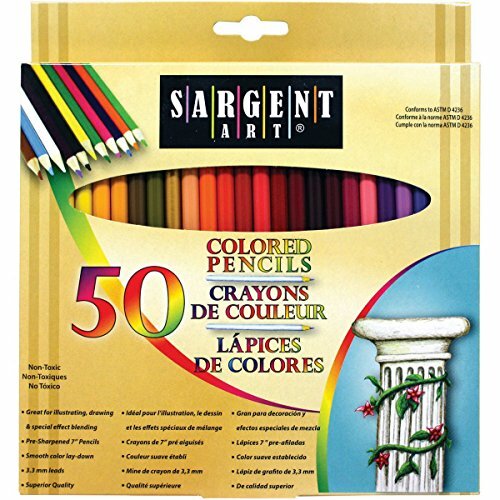 Similar sturdy fabric bags and plastic totes are available where craft supplies are sold. Whether or not you found a new tool you'd like to pick up to integrate into your quiet times this year, I hope your imagination was sparked with some ways to freshen up your quiet time routine, and I hope you're excited to spend time with God. May your time with Him be fresh, intimate, and fruitful! 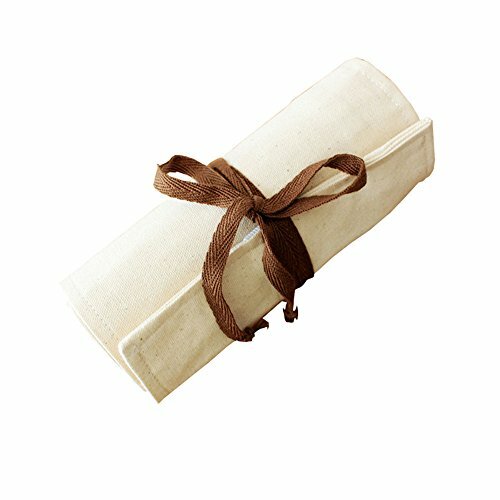 What are your favorite quiet time tools? Are you implementing anything new this year? Tell me about it! Christmas is over, and we're swiftly approaching January, the most boring month of the year. (Sorry, January.) While I love the fresh possibility of a new year, I'm as affected as the next person by the post-Christmas let-down. 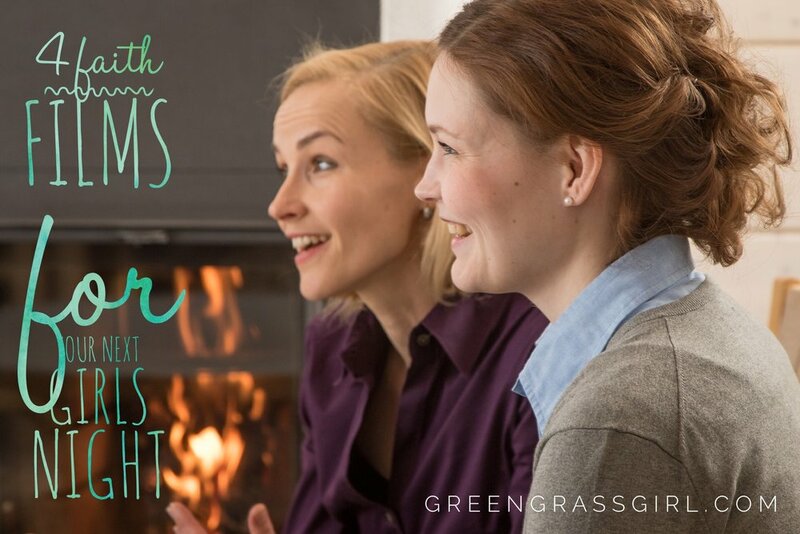 I've learned to combat this by getting some fun events on my calendar, and in my humble opinion January's cold weather and dark days naturally lend themselves to girls movie nights! Chatting with friends, munching on hearty snacks, cozy-ing up with a soft blanket, and getting lost in a good movie--my soul needs these things. 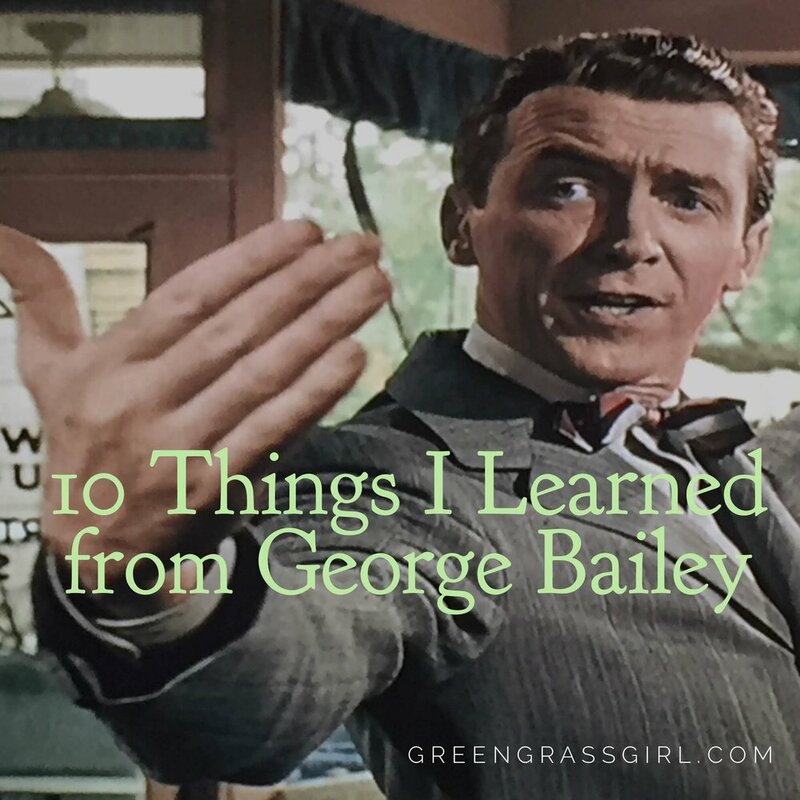 Because I'm a believer in Jesus, I love the idea of watching a movie that will inspire my faith, but frankly the Christian movie scene hasn't always delivered--or at least not without an extra layer of cheese. I'm happy to report, though, that I believe that trend is changing! 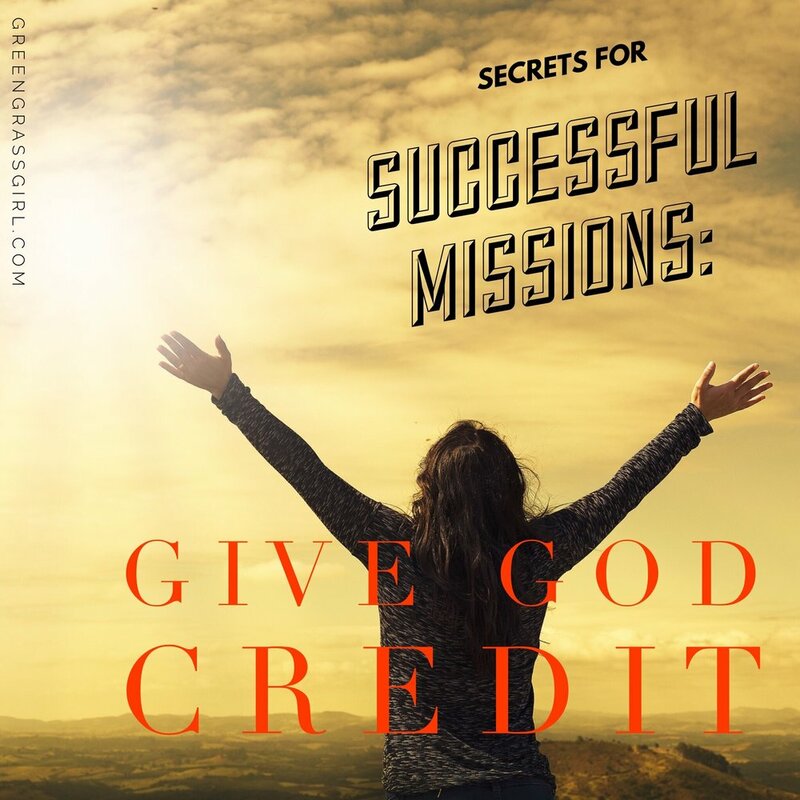 In the past few years I've seen several new faith films that I loved because they managed to weave together powerful stories, humor, and motivation for my own journey. The four I'm presenting to you today will both entertain and encourage you, and they'll spark fabulous discussion between you and your girlfriends--perfect for your next movie night. I've given you a brief synopsis of each movie, some reasons why I love it, and some talking points for you and your friends. Click on the movie title to watch a trailer on IMDb. Here we go! Synopsis: A little girl contracts a serious illness, which causes a crisis of faith in her family. An accident incites a miracle, which influences the girl, her family, and community. Why I Love It: It affirms both that God sometimes does big, crazy miracles and that small miracles happen every day, making the viewer want to look for miracles and be a part of other peoples' miracles. Jennifer Garner is fantastic as the girl's mom, and in her character we see a real person struggling with legitimate doubts and fears. The movie in no way condemns her for this battle but instead shows how her faith became stronger because of it. Queen Latifah makes a welcome, funny appearance. And this movie is based on a true story! At the end of the film one can see footage of the Beam family whose story inspired the movie. Talking Points: What kind of miracles--big or small--have you experienced in your life? In what ways could you facilitate a miracle for someone else? Synopsis: A family living the American dream is actually falling apart behind closed doors. Through an unlikely friendship with a stubborn older woman, wife and mom Elizabeth begins to battle in prayer for her family. 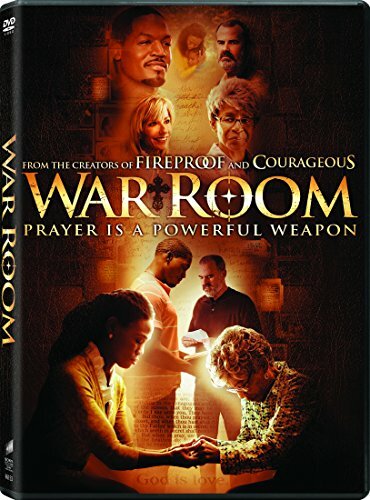 Why I Love It: The tagline for this movie says it all: "Prayer is a powerful weapon." The viewer gets to watch the connection between Elizabeth's prayers for her husband and what's unfolding in his life. This is so compelling because we don't have the perspective of an omniscient observer in our own lives; often we have to wait for visible answers to our prayers, and sometimes we never see the fruit of our prayers! 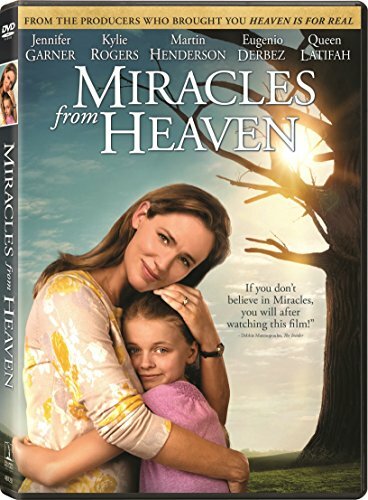 This movie causes me to ask the question, what might be happening that I can't see in response to my prayers, and what might I miss out on if I don't pray? Priscilla Shirer plays the main character in this movie, and Beth Moore makes a guest appearance--two Bible teachers I love! Talking Points: How have you seen God answer your prayers in the past? What creative ideas do you have to create your own "war room" or to integrate prayer into your life in a new way? 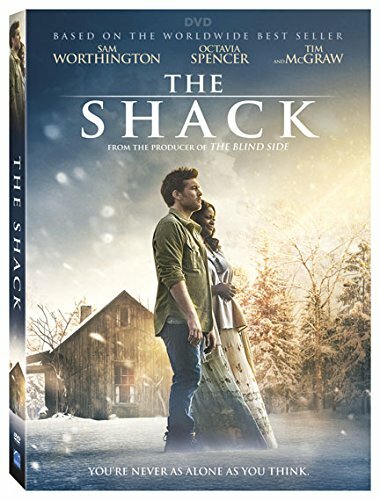 Synopsis: A man suffers a terrible tragedy and then receives a note in his mailbox from God inviting him to meet Him at the shack where the horrible event took place. His encounter there changes his life. Why I Love It: This movie explores some extremely difficult questions, such as "What is God really like? ", and "Why does God allow pain?" It has received a good deal of criticism for insufficiently answering these questions according to the broad teaching of Scripture. I agree with that assessment, but I disagree that there's nothing of value here. 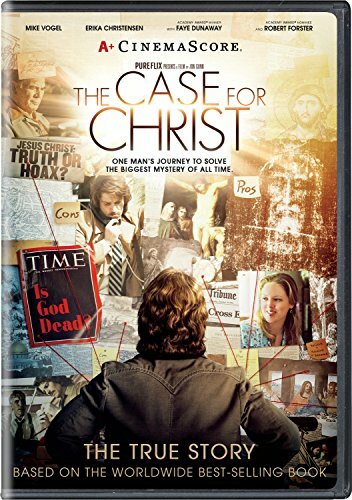 On the contrary, if you're willing to think outside the box, this film's unique but imperfect portrayal of God the Father, Jesus Christ, and the Holy Spirit will make you want to lean in, open your Bible, and get to know the true living God better for yourself. Also in this movie is a potent reminder that God hurts when we hurt. Talking Points: What circumstance has sent your life and faith into a tailspin? If you could meet with God face-to-face, what do you think He would say to you about that circumstance? Synopsis: A journalist attempts to disprove the existence of God. Meanwhile his wife becomes a Christian. The evidence he uncovers through his research and the new faith of his wife take him on a journey he never imagined. Why I Love It: This movie, too, is based on a true story. It acknowledges some of peoples' most common hurdles to believing God, such as the apparent impossibility of Jesus' resurrection from the dead, and it presents some of the historical proof for the Jesus story of the Bible. To me this movie serves as a reminder that God is able to meet anyone where they are, whether their barrier is intellectual, emotional, or otherwise. I also like the glimpse into the life of a woman who has recently become a believer and is now facing the reality that her husband doesn't share her faith. The young but tenacious faith with which she prays for him is empowering! Talking Points: What obstacles have you or those close to you encountered to believing in the story of Jesus as told in the Bible? How can you support a loved one who might be struggling with a matter of faith? I hope that one or more of these films piqued your interest. Now all you need is a group text to your girls and a box of microwave popcorn. Have fun! Did you watch one of these movies with your girlfriends? Let me know how it went! This morning I set my mind to the task of writing to you, dear reader, and promptly made hot chocolate…and watched White Christmas. Having successfully burned two hours, I then reviewed my holiday calendar, read the Christmas story in Luke 2, and played carols on the piano. The holidays offer much material for creative procrastination. The lilting melody of “He is Born” tugged at my heartstrings and, as beautiful music often does, turned my mind to deeper things. I thought about my Grandma, who loved Christmas and me dearly and whom I miss terribly this time of year. I thought about two friends—one overjoyed because her adoption journey recently culminated in a precious baby boy and one heartbroken because her arms are empty when it should have been her baby’s first Christmas. I thought about the relatives I can’t wait to see in the next few days at our family gatherings and the ones in whose presence I'm not as eager to be on account of unresolved conflict. Ever pragmatic when it comes to my emotions, I decided that this sentimental reverie wasn’t doing me any favors in this “season to be jolly,” so I got up from the piano bench and looked around for a present to wrap or a batch of cookies to bake. Finding myself up to my eyeballs in gingersnaps and snickerdoodles and not quite crazy enough to mash my potatoes four days in advance, I determined that my physical preparations for Christmas were done. The irony of my vastly different states—outward completion and inner turmoil—was not lost on me, and I realized: it was Christmas in my home but not in my heart. “As Jesus and his disciples were on their way, he came to a village where a woman named Martha opened her home to him. She had a sister called Mary, who sat at the Lord’s feet listening to what he said. But Martha was distracted by all the preparations that had to be made. She came to him and asked, ‘Lord, don’t you care that my sister has left me to do the work by myself? Tell her to help me!’ ‘Martha, Martha,’ the Lord answered, ‘you are worried and upset about many things, but only one thing is needed. Mary has chosen what is better, and it will not be taken away from her’” (Luke 10:38-42). What might it look like during this season to sit “at the Lord’s feet listening?” Or to choose “what is better?” Flipping back to Luke 2 with fresh eyes seems like a good start, so I begin to read, and what stands out to me this time around is completely different—“placed him in a manger,” “no room for them in the inn,” and “shepherds living out in the fields.” This is no Precious Moments nativity scene; this is a newborn in a feeding trough, a young family unable to find decent accommodations, and society’s lowest of the low. It’s into this messy and far-from-ideal set of circumstances that Jesus is born. “But the angel said to [the shepherds], ‘Do not be afraid. I bring you good news of great joy that will be for all the people. Today in the town of David a Savior has been born to you; He is Christ the Lord” (Luke 2:10-12). That the Son of God and Savior of the world entered this planet in humble and even grimy circumstances is another irony not to be missed, one that has something to say to the full gamut of my earlier wonderings--to Christmas memories of my Grandma and longing to see her again, to both my rejoicing friend and my grieving friend, and to my peaceful family relationships and also those that are filled with strife. Good news. Great joy. For all the people. A Savior. Christ the Lord. Christmas in my heart. What about you? I’d wager a bet it’s Christmas in your home, but is it Christmas in your heart? Amid the preparations that have to be made, how can you create space to ponder how Jesus’ birth meets you in the joys and messes of your own life? Today I am humbled and excited to be a guest writer for the (in)courage blog, a lovely online community of women seeking to know God and encourage each other in the midst of their real lives. 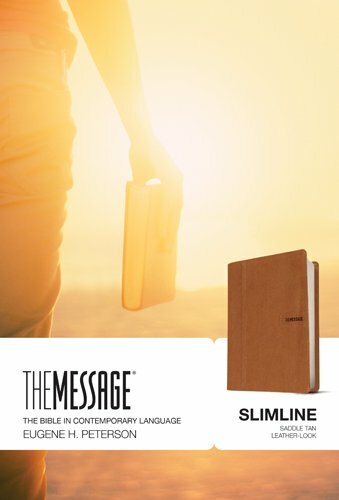 "My journal and God listened as I poured out my heart in the early spring sun. I wrestled on paper with the mixed emotions I felt regarding my current season. I was so grateful—for my husband of just a year and a half and the bright hope of our life together, for lovely new friends and the privilege of managing my own home. "Yet at the same time I was sad. I missed the friends I’d moved away from in order to begin this adventure, and some of the “adventure” I’d experienced lately had come in the form of difficult relationships and struggling to find my place. The season of my life prior to this one admittedly had a “charmed” quality. It was not without challenges, but in large measure I’d had it easy. My job and ministry position were in my wheelhouse, and the people I loved had loved me. I was thriving. But now? If I was honest, my current state more closely resembled surviving..."
Head on over to (in)courage to read the rest of this article, and be sure to take a look around while you're there! I know you're going to be encouraged by what you find, so why not sign up to hear from the (in)courage writers every day? You can do so here. When in your life have you felt most alive? For me times like these come to mind: finding out how fast my jet ski could go in beautiful Ozark lake country, learning to lope for the first time during my childhood horseback riding lessons, skiing above the tree-line along a snowy ridge in Colorado, and floating in huge ocean swells in Mexico. These experiences have some common denominators—a bit of risk, an element of being outside of myself, and the requirement that I give up some control and surrender to something bigger—the lake, the horse, the mountain, the waves. I guide the horse and move my body to direct my skis, sure, but there are about 57 things that could go wrong in each of these scenarios, and if I think I’m the one holding it all together, I’m deluded. In a similar fashion spiritual “aliveness”—what Easter is all about—comes from surrender. I do nothing to achieve my own spiritual vitality—it’s all God. I can’t control anything about the process with bad or good works, and the result is vivacity, freedom, and elation that puts even the best earthly thrill-seeking to shame.